Downgrade - Ausrüstung. Kosten: 2. After attached character is activated, deal 1 damage to it. 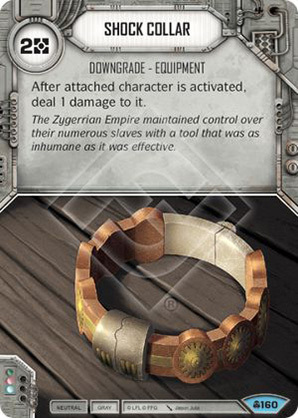 The Zygerian Empire maintained control over their numerous slaves with a tool that was as inhumane as it was effective.